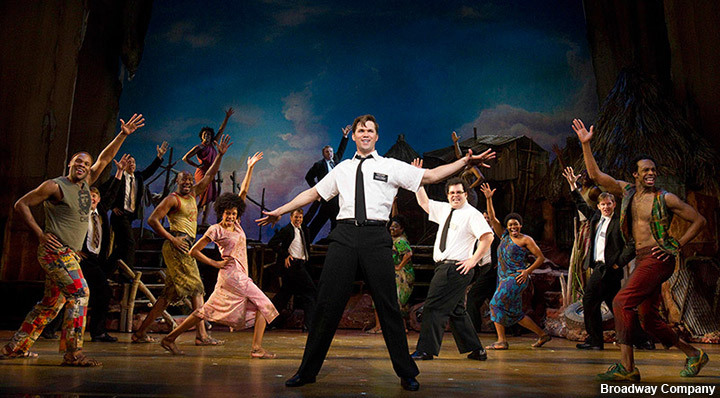 Trey Parker and Matt Stone bring their cutting satire to Broadway in The Book of Mormon. Elder Price, the perfect Mormon missionary, is paired up for his mission with Elder Cunningham, a sci-fi nerd with a tendency to fib about everything. Together they must bring the Book of Mormon to the people of Uganda and try not their own faith in the process. Book, music, and lyrics written by Trey Parker, Matt Stone, and Robert Lopez. Facebook/Twitter Lottery – There is also a ticket lottery conducted through the show’s official Facebook page and Twitter feed. For full rules, click here. New York state residents only, must show proof of residence. Standing Room – Standing Room tickets are often available at the box office one hour before each performance.